Clotilde Landais joins the School of Languages and Cultures as an Assistant Professor in French. She received her Ph.D. in Comparative Literature from the Université Paris III - Sorbonne Nouvelle (France). She completed her M.A. and B.A. in French and Comparative Literature at the Université de Tours (France) and her dual M.A. in French and German Literatures at Bowling Green State University, OH. She also holds a M.A. in Teaching French as a Second Language from the Université de Tours (France). 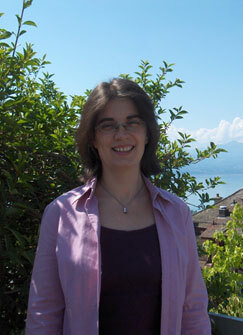 Prior to her position at Purdue, Dr. Landais worked as Director of Translation at Bragelonne Publishing in Paris (France), and taught French and Francophone Literatures at the Université de La Sorbonne in Paris (France), at Pepperdine University in Lausanne (Switzerland), and at the University of New South Wales in Sydney (Australia). Dr. Landais’ research interests focus on horror fiction, postmodernism, and translations theories. Current research projects address the translation of the feeling of fear in North American and Caribbean horror fiction. She notably published articles in the Colloque de Cerisy series, in @nalyses, and in Philip Roth Studies. She has also published a monograph on Stephen King at Peter Lang Publishing.